In other news I am OBSESSED with my new belt from express! 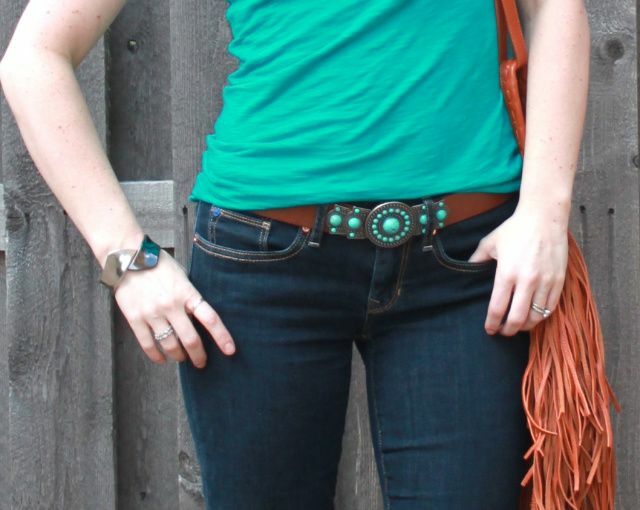 I think belts can be great accessories so I was super excited when I saw this turquoise one. 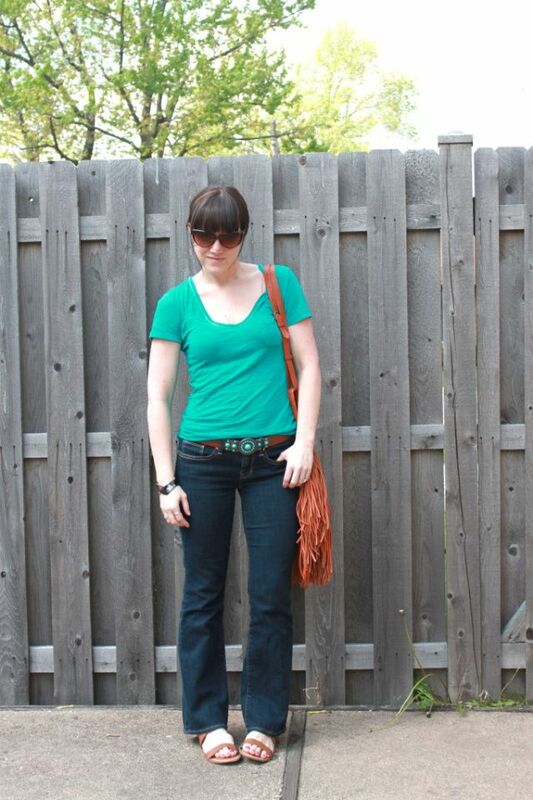 What's your favorite accessory to jazz up jeans and a tee? I get confused when I see you in flats :) But I love this outfit, so much fun. 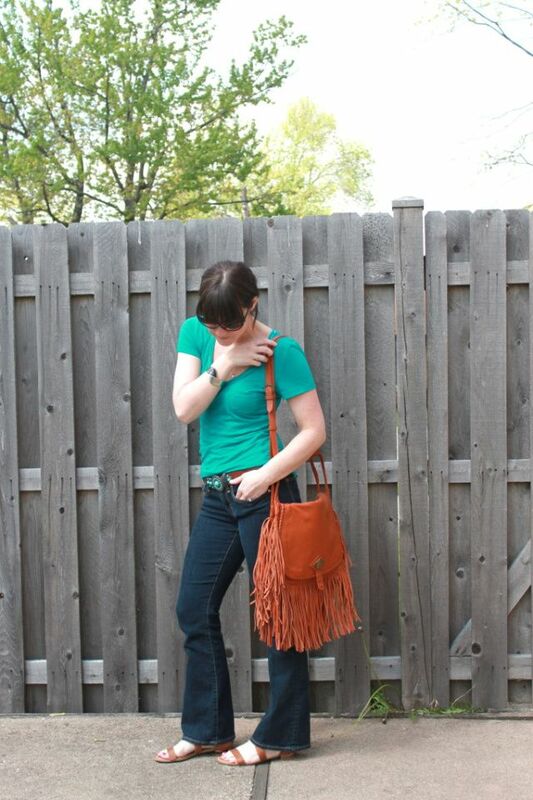 I love to wear jeans and a tee and usually use fun jewelry to dress it up. By the way? That bag is AMAZING.